In this video, you're going to learn 33 groups of Chinese conjunctions, which are divided to coordinating,additive, progressive, contrastive, hypothetical, choice, causal and condition conjunction. 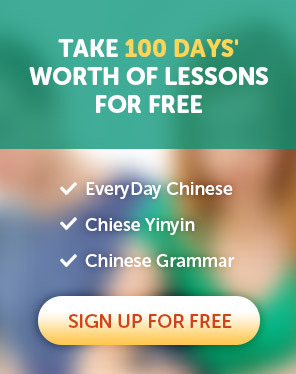 Mastering these practicalcompound conjunctions enables you to make complex sentences so that you can express Chinese more coherently. Who is that tall and handsome man? This watermelon is big and sweet. This job can make money, and you can learn something from it also. This method is simple and useful. I don't like to eat bananas nor apples. My father can speak neither English nor French. I like singing while taking a bath. My brother often eats snacks while watching TV. Class is over, some students are chatting, and some are doing homework. Some of my students are from Europe and some are from Africa. Children always cry for a while, and laugh for a while. The weather is really strange today, cold for a while, hot for a while. My mother has to work on the one hand and take care of me and my father onthe other hand. On the one hand he wants to learn English well, on the other hand hedoesn't want to memorize words. I'll call you as soon as I get home. I'll go home as soon as I get off work. We'll eat first and then go to the movies. After work, I go to the supermarket to buy food first and then go home tocook. She is not only beautiful, but also smart. This dish is not only delicious, but also nutritious. I like not only singing but also dancing. To learn Chinese well, we should not only read more, but also speak more. Besides watching movies, I also like reading books and traveling. Besides teacher, there are students in the classroom. Although the weather is not good today, he still comes. Although teacher Wang was not feeling very well, he insisted on teachingus. Although he is only ten years old, he can speak four languages. Although Chinese is difficult, he never gives up. It's not that I don't want to help you, but that I have no idea. It's not that I don't want to travel, but that I don't have time to travel. Instead of thanking the farmer for saving him, the snake killed him. Instead of helping me, my brother laughed at me with others. If it doesn't rain tomorrow, then we'll go hiking. If you haven't finished your homework, then you can't watch TV. Even if you apologize to me, I won't forgive you. Even if I don't sleep today, I'll still finish this book. Mother goes to work either by car or by subway. The person who come out the first of this examination is either him or me. You can either do your homework or read a book, but don't bother me. Either have dumplings or have noodles tonight. Rather than let me guess, it's better you tell me. The weather is so nice today, rather than sleep at home, it's better tohang out. He would rather be misunderstood than tell the truth. Would you rather trust others than me? Because it will rain tomorrow, the activity is cancelled. Because we are friends, I will definitely help you. I haven't seen the film, so I don't comment it. Because I lost my passport, I can't go abroad for the moment. The reason why he succeeded is that he worked hard all the time. The reason why I know him is that we used to be neighbors. Since you understand, I will not explain it. Since you're in school, you should study hard. As long as we have time, we will go to travel. As long as you keep at it, there will be hope. The law stipulates that only people who is over eighteen can drive. Only the best actors can get the prize. Anyone who has helped me, I will remember him. Whatever you give me, I like very much. No matter what others say, I will persist in my dream. Whether poor or rich, we will never leave each other. Unless you go with me, otherwise I won't go. Unless you really don't care about your health, otherwise don't do this. Once the environment is destroyed, it is difficult to recover. Once you've set your goals, don't give up easily. Everyone were came except Xiaoming. There is nothing on this mountain except stones.